PTIHistoric deal: “Once the Chabahar port is developed, goods from India will not only travel up to Afghanistan, but beyond.” Prime Minister Narendra Modi with Iranian President Hassan Rouhani and Afghan President Ashraf Ghani in Tehran. The signing of the trilateral agreement between India, Iran and Afghanistan has been described as a “game changer”, improving manifold the way India can deal with both countries in its “extended neighbourhood” without having to deal with its most intractable neighbour, Pakistan. Once the Chabahar port is developed, goods from India will not only travel up to Afghanistan, but beyond, along the yet-to-be developed International North-South Transport Corridor (INSTC) to Central Asia. The idea isn’t new, but it has faced many challenges, including U.S. sanctions on Iran and the war against terror in Afghanistan. In 2003, India signed a tripartite agreement with Iran and Afghanistan for preferential trade that would eventually ply through the Chabahar port and Special Economic Zone, and in 2013, committed $100 million for the port’s development. In 2009, India also handed over a $135-million Zaranj-Delaram highway to Afghanistan that ran to the Iran border, while Iran constructed the road connecting Chabahar to Zahedan on its side. Ladakh, the crown on India’s map, was the transit route of trading caravans to and from Central Asia with Leh as the communication and barter hub. The three valleys formed by the Indus, Zanskar and Shyok rivers provided the natural routes amidst mountains towering upto 18000 feet. Branching off from the Silk Route, caravans from Chinese Turkistan crossed over the Karakoram Pass moving along the Shyok River and onto Leh and thence along the Indus to Skardu and Gilgit West of Leh. Branching off Southwards from this route was Kargil and and across the Zojila to Srinagar. Towards the South East Leh was connected to Manali over the Rohtang Pass. The high altitude cold desert averages 11000 feet along the Indus which runs through Ladakh from East to West. Following the Anglo Sikh War 1845-46 and the Treaty of Amritsar 1846, Jammu and Kashmir, including Ladakh and Baltistan was acquired by Maharaja Gulab Singh. British strategic interest in Baltistan bordering Afghanistan and Russia ensured constant interference in this region culminating in the entire region of Nagar, Hunza, Gilgit and Skardu being leased by the Maharaja to the British in 1935 for 60 years. With the impending lapse of British Paramountcy on 15 August 1947, the region was to technically and legally revert to Jammu and Kashmir State on that date. It was handed over by the British Political Agent to the Governor of Gilgit appointed by the Maharaja of Jammu and Kashmir on 30 June 1947. In a grave error of judgment, the British officers including the commander of the Gilgit Scouts, were retained by the Maharaja. A coup was staged by these officers on 31 October 1947 and the Governor imprisoned. 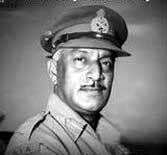 Major Brown hoisted the Pakistani flag on 03 November 1947 and handed over the administration to Pakistan. The Defence Minister has recently announced the formation of an eleven member committee led by Lieutenant General DB Shekatkar (Retd) tasked to look into areas of “overlap” and convergence within the three forces – Indian Army, Navy and Air Force – allowing for a reduction of manpower It will also identify areas to “rationalize manpower”, examine possible areas of multi-tasking by troops and also suggest ways to “optimize” the combat potential by induction of more technology as against more boots on the ground. …the MOD spends more than Rs.1000 Crores annually on pay, allowances and establishment of Ministry of Finance personnel who are attached with it. 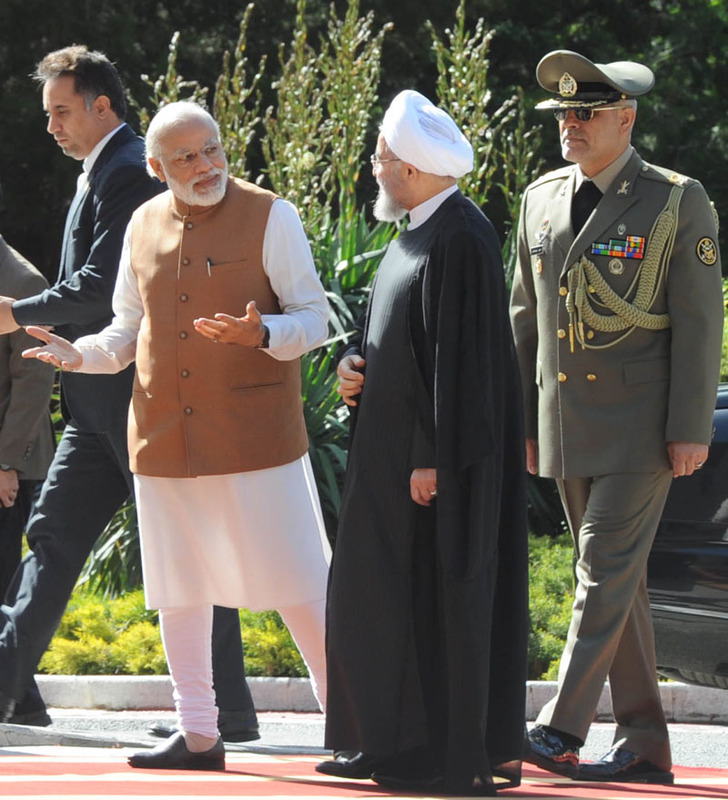 The finalizing of dates for visit of Prime Minister Narendra Modi to Iran, 22 May to 23 May 2016 has generated a good amount of enthusiasm in India. Simultaneously, it is also aimed at sending a clear signal to the international community that India is serious and means business about its intentions to play its legitimate role in the region while balancing out its friends across all spectrums of Islamic world. Ostensibly the underlying aim of the visit is to boost Indian connectivity with the region by signing the India-Iran-Afghanistan Trilateral Agreement on Transport and Transit Corridors to facilitate trade with Afghanistan, Central Asia, Russia and Europe for utilizing Chabahar port as a hub, giving boost to Indian access to Afghanistan and creating the International North South Transport Corridor (INSTC). Presence of Afghan President Ashraf Ghani during the signing of the agreement in Tehran signifies the importance Afghanistan attaches to the Development of Chabahar so as to end its isolation and total reliance on Pakistan for sea connectivity. The procurement mechanism of the defence sector in India finally seems to be heading in the right direction. In 1940, legendary Indian industrialist Walchand Hirachand struck a deal with an American businessman to produce combat aircraft in India. One of the investors in the project was the Maharaja of Mysore, who agreed to invest Rs 25 lakh and also gave 700 acres of land free for the project. 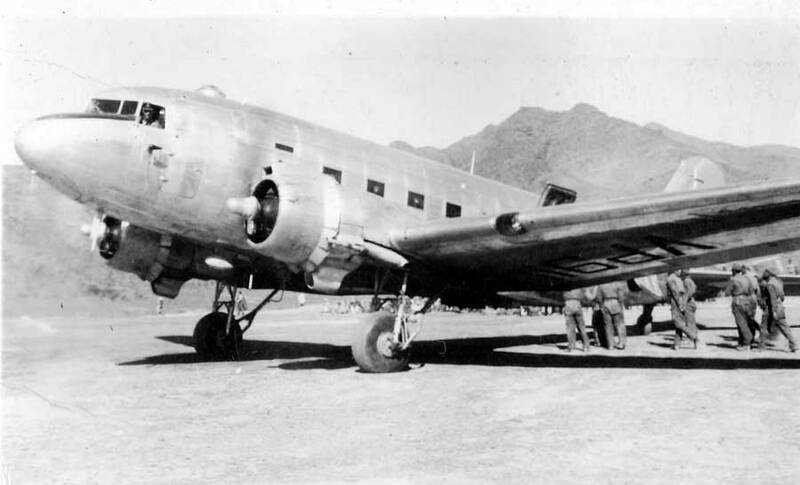 Just eight months later Hindustan Aircraft flight tested its first product, a trainer aircraft. And then the British pulled the plug. Ahead of the Indian President Pranab Mukherjee’s four-day trip to China starting from May 24, China is seemingly uncomfortable with the proximity between India, Japan and the US to be exemplified by the Malabar Exercise-2016 and has, thus, upped the ante on its claims in the South China Sea. China has objected to the presence of Indian Navy ships in the region where it has significantly expanded its presence since 2009 through artificial islands and military presence. The last two days, 22 and 23 May (2016) have been unfortunate for India’s security forces. Six personnel of the Assam Rifles lost their lives in a militant ambush in Chandel district of Manipur on 22 May. The ambush was attributed to Coordination Committee (CorCom) led by People’s Liberation Army (PLA). CorCom an umbrella group in Manipur that includes the Kangleipak Communist Party (KCP), Kanglei Yawol Kanna Lup (KYKL), People's Revolutionary Party of Kangleipak (PREPAK), its Progressive faction (PREPAK-Pro), Revolutionary People's Front (RPF – the political wing of the People’s Liberation Army – PLA), United National Liberation Front (UNLF) and United Peoples Party of Kangleipak (UPPK). Chandel was in the news in 2015 for a major ambush in which the Indian Army lost 18 soldiers. This was an operation by the NSCN Khaplang faction which has a base across the border in Manipur which was targeted in a raid. The CorCom on the other hand has its base in the State and is mainly a Meitei conglomerate. On 23 May three personnel of the Jammu and Kashmir police were killed in two separate incidents in Zadibal and Tengpora in Srinagar Old City. Two of these personnel were unarmed. The localities are in the heart of the City in densely populated areas with lanes and by lanes which provided the attackers an easy get away on motorcycles. As per media reports, Mullah Akhtar Mansour, Afghan Taliban chief has been killed in a US drone strike in Baluchistan Province of Pakistan. It may be recalled that the installation of Mansour to head Afghan Taliban was carefully orchestrated by Pakistan keeping the death of former Afghan Taliban chief Mullah Omar under wrap for more than two years. Mansour was a strategic pawn for Pakistan’s ISI as he was the religious teacher of Haqqanis based in Pakistan for over three decades. Haqqanis have been consistently used by Pakistan as their covert arm to destabilize Afghanistan and target Indian establishment and interests in Afghanistan. The ISI had used Mansour to rally the Afghan Taliban and the TTP under the same platform to Pakistan’s advantage. Capture of large parts of Kunduz City in north Afghanistan last September-October was under the aegis of Mansour, even as presence of ISI operative (s) were reported in the hospital at Kunduz that had to be bombed to knock out the Taliban HQ. The assessment of Director US Intelligence Agency this February had acknowledged that both the Afghan Taliban and TTP had largely coalesced under Mullah Mansour. Mansour possibly also helped Pakistan clobber together an ISI headed conglomerate of Afghan Taliban and TTP mixed with cadres of Pakistani Mujahid battalions – being termed as ISIS or the Khorasan chapter in Afghanistan, based in Nangarhar Province of Afghanistan. Though Director US National Intelligence termed the ISIS “disgruntled elements of Afghan Taliban and TTP” the Afghans are very clear that this so called ISIS is actually an ISI outfit, facilitated by Pakistani regulars inducted into Afghanistan along with millions of Pakistani refugees. Even with no clear successor to Mullah Mansour, the issue of peace talks has long been seen as deeply unpopular among the Taliban’s most senior leadership. Incredibly, even though much U.S. blood and treasure was sacrificed in Afghanistan, we won’t bomb the militants trying to take over the country. In any counterinsurgency campaign, foreign forces helping another country must strike a balance. They must wean local forces off their dependency on outside help as rapidly as possible. But they also must not rush the job and lose what has been gained along the way—especially when a part of their core mission is to build up the indigenous police and military forces to which they seek to pass the baton. For 10 years U.S. leaders have understood the need for this delicate balancing act in Iraq and Afghanistan, though both the Bush andObama administrations did, in certain cases, hand off to indigenous forces and draw down more rapidly than was advisable. We are at risk of doing that again now in Afghanistan. 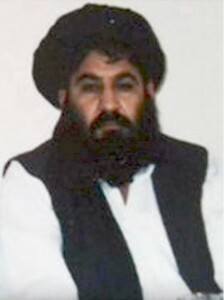 The US military said it targeted and possibly killed Taliban emir Mullah Mansour today in an “airstrike” in a remote area along the “Afghanistan-Pakistan border region.” Mansour’s status is unknown and the military said it is attempting to determine if he is dead or alive. Mansour officially replaced Mullah Omar, the founder of the Taliban, as the group’s emir in August 2015 when Omar’s death was disclosed. But Mansour has really been at the helm of the Taliban since April 2013, when Omar died and the Taliban kept his death secret for more than two years. Since taking the role of emir, Mansour fought and won a divisive power struggle against senior Taliban leaders who preferred Omar’s eldest son as heir to the group. Mansour led a deadly uprising that saw the resurgent Taliban gain more territory than any time since the US invasion in 2001. 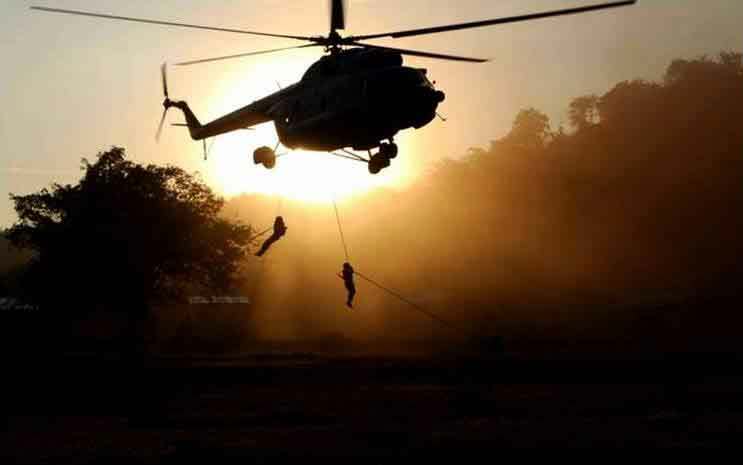 The Myanmar operation will leave behind no lasting legacy beyond the sorry spectacle of people in high office claiming undeserved victories, seeking undeserved honours… This was a relatively minor operation, and will have only transient tactical and psychological significance. An operational success has been imposed, and the rebels, who have till now had almost undisturbed sanctuary in Myanmar, will lose their sense of impunity. Over time, however, they will adapt and draw deeper into the jungles and take fuller precautions against discovery and neutralization, unless the present operation is followed up by a more sustained and enveloping campaign. A convoy of Assam Rifles while returning after assessing a landslide area in Holingjang to the Battalion headquarters location at Joupi [a village in Chakpikarongtehsil] in Chandel District of South Manipur had an encounter with suspected valley based insurgent groups… In the ensuing fire fight, one Junior Commissioned Officer and five soldiers were martyred. The troops retaliated but the insurgents managed to get away under thick forest cover and bad weather. On May 17, 2016, 13 persons, including 11 cadres of the Federal Alliance, an alliance of 30 ethnic and Madhesi parties formed on July 31, 2015, and two Policemen, were injured when Police clashed with the demonstrators outside Prime Minister K.P. Sharma Oli’s residence at Baluwatar in the national capital, Kathmandu. On May 15 and May 16, the Alliance had picketed Singha Durbar(Lion's Palace, which houses the Prime Minister’s and other Government offices) as part of its protest program to pressure the Government to meet their demands, which include provisions for proportional representation and rewriting of the newly promulgated Constitution of September 20, 2015. Nevertheless, the Federal Alliance announced its protest program on May 18, 2016, for the next 12 days, including mass rallies and public gatherings in different places in the Kathmandu Valley and some other cities. According to the program, the Alliance had organized stage demonstrations at Patan (Lalitpur District) on May 19, at Baneshwar (Sankhuwasabha District) on May 20, and at Swayambhu (Kathmandu) on May 21. Likewise, a mass gathering at Chabahil (Kathmandu) on May 22, at Kirtipur (Kathmandu) on May 23, at Bhaktapur District on May 24, at Balaju (Kathmandu) on May 25, at Kalanki (Kathmandu) on May 26, at Thimi (Bhaktapur District) on May 27 and at Kathmandu Durbar Square on May 28, had also been scheduled. The Alliance also declared that protest rallies and public gatherings would be held in Birgunj (Parsa District) and Pokhara (Kaski District) respectively on May 29 and May 30. For the nth time in the past few years – the Naval Headquarters at New Delhi has been alarmed. 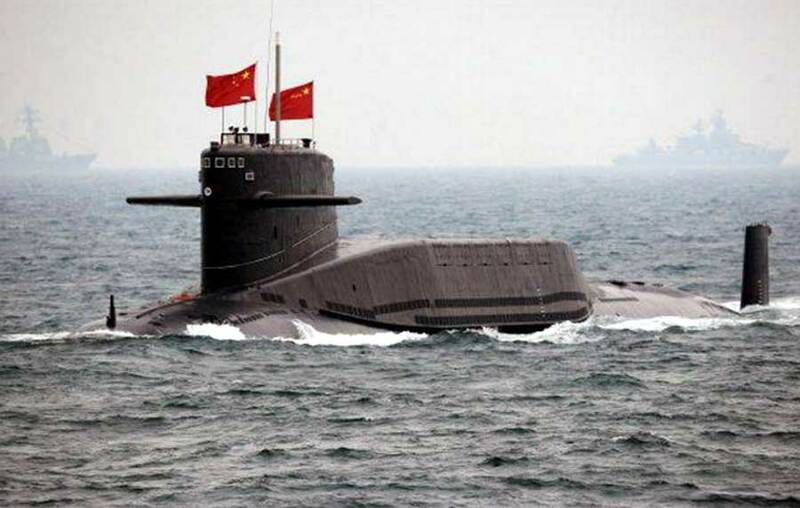 The frequency of Chinese submarines operating in and around the Indian Ocean region specifically near the Andaman and Nicobar Islands have caused deep concern due to their increasing frequency. Since both the Bay of Bengal and the Arabian Sea have emerged as frequent hunting grounds of Chinese submarines depending on the scenario, they could well lie waiting at choke points or off Indian harbours to operate against the Indian Naval fleet. As per recent media reports three to four sightings after every three or four months are not unusual. The fact that the PLA submarines as well as bigger amphibious troop carrying docking ships and aircraft have started using the Indian Ocean as their new operating grounds, an aspect that is neither new nor sensational, is really but a foregone conclusion for anyone willing to see past indicators. In such forays of the PLA(N) a combination of various factors like ingenuity, uniqueness, apart from the usual sustenance and reach capabilities were all witness when their nuclear submarine, presumably a Shang class was deployed to be part of the anti -piracy patrol operating off the Gulf of Aden from December 13, 2014, to February 14, 2015. 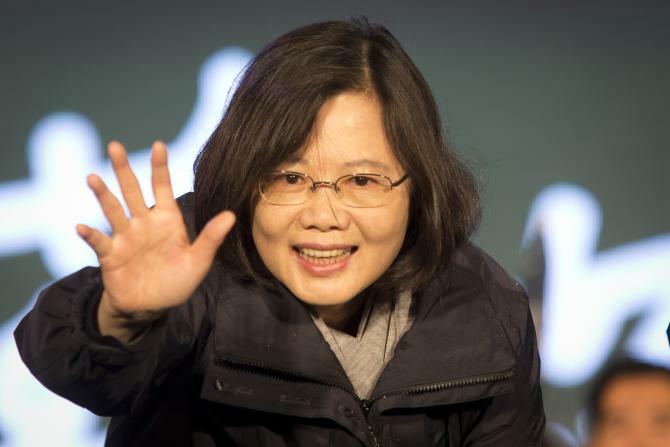 On Friday May 20, 2016 morning Ms Tsai Ing-wen, 59, of the Democratic Progressive Party (DPP) was sworn-in President after winning the elections in January this year. India backtracked on sending any official government representative days after naming two parliamentarians to attend the events. It would mean that there would be no official representation at the swearing-in of the President or at the dinner banquet later in the evening. This is in deference to Beijing’s ‘coercive’ dictate of demanding all countries to endorse its ‘One China’ Policy and have no tuck with Taiwan. However, an Academic, who is also an Editor and a Delhi, based BJP leader are expected to be attending in their private capacities. According to Alfred Thayer Mahan, a 19th century American strategist, the concept of sea power was based on the idea that countries with greater naval power will have greater worldwide impact. This concept had enormous influence in shaping strategic thought of navies around the world. The nation that controlled the seas held the upper hand in modern warfare. The last decade has witnessed this transformation of the global maritime security environment. It is driven among other things by the diffusion of maritime power, great power competition, the “territorialisation” of the seas, the rise of maritime non-state actors, changes in maritime geography, and a race to extract maritime resources. This new maritime security environment is simultaneously more connected and more contested, in which developments in faraway maritime regions reverberate around the world, and where national rivalries and resource competition threaten to encroach on the international freedom of navigation. 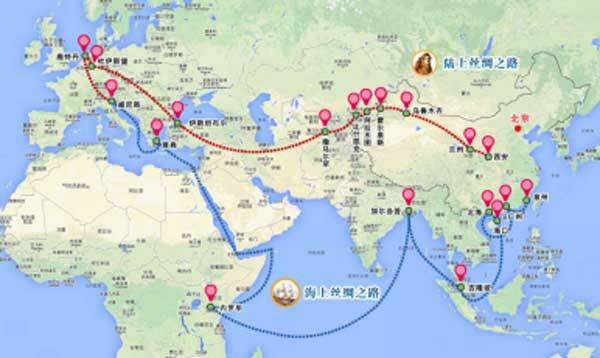 This has taken the form of conflicts between major maritime powers in the last few years. Disputes in the South China Sea and East China Sea are examples. First-quarter GDP reports from Chinese provinces have provided more confirmation, if any were needed, that China’s economy is flying on one engine. Liaoning, the industrial powerhouse in the northeast of the country, is expected to register a contraction of 1.3 percent for the first three months of 2016, making it the first province to do so in seven years. The poor results come on the back of a severe downturn in the energy and heavy industry sectors, and reflect the growing divergence between those areas and the service sector, which has contributed the lion’s share of China’s overall 6.7 percent first-quarter growth rate. For example, Shanshui Cement, one of the province’s biggest producers (and polluters), has posted record losses for last year and is teetering on the edge of default after defaulting on a 2-billion-yuan bond. The extent to which the slowdown in manufacturing and the improvement in services is part of a managed rebalancing of China’s economy is an open question. On the one hand, the Chinese Communist Party has its sights set on transitioning the country’s economy from a low-wage, export-dependent model to a higher-wage consumption model. The discrepancy in regional economic performances could be explained by an intentional downsizing of one part of the economy and the incentivizing of the other until they meet somewhere near the middle. More skeptical observers see the so-called rebalancing as an extemporized attempt to put a floor under an industrial sector that is collapsing under the weight of massive overinvestment. It is this capacity overhang that has necessitated the severe retrenchment currently underway in the sector. From Australia to sub-Saharan Africa to the UK, the resulting depression in commodity prices and the glut in the steel and aluminum markets have had a serious impact. The arrival a couple of days ago of a Chinese nuclear submarine for the first time in Karachi port, coinciding with a Chinese military delegation's visit, points to Pakistan's importance for China, says former R&AW officer Jayadeva Ranade. While an article published by the Chinese State-run Global Times on May 13 prompted excited coverage by the Indian media, it does need to be carefully assessed. The article gives an insight into some aspects of the extensive military reforms underway in China as well as the operational orientation of the People's Liberation Army's recently constituted West Zone. It does simultaneously convey a warning to India. Relevant is that the article, which first appeared in the Communist Youth League's Chinese-language Zhongguo Qingnian Bao (China Youth Daily), was published a day later in the English-language State-run Global Times. In an obvious bid to reach a wider audience it was further publicised via Twitter. The once-promising cessation of hostilities that had significantly reduced the fighting between the Assad regime and the armed opposition in Syria is collapsing, and major questions are being asked about the future course of U.S. policy toward Syria. These questions are being asked as, more and more, Al Qaeda and its allies are building a proto-state in northern Syria, which will have potentially dire consequences for the future of Middle East and international security. A recently released Center for a New American Security report emphasizes that in order to defeat Al Qaeda and its enablers, the United States will need to more proactively support the Syrian opposition to build security and governance institutions in rebel-controlled areas of the country. Beyond the anti-ISIS campaign, there is also a preventative counterterrorism campaign that needs to be waged in other areas of the country, as Al Qaeda and its enablers in the Syrian armed opposition seek to build a sharia state based on the teaching of influential global jihadi theorists. The Brussels bombing is a precursor for a Boston or Baltimore or fill in the blank city within our own borders. ISIS is a cancer on civilization that has to be eradicated so we do not live perpetually in fear. ISIS and its adherents and wannabe’s can only be defeated by the most concerted, aggressive and emotionless actions. Take heed of the Roman objective with their mortal enemy, Carthage. Plow the city to ruins and sow it with salt. This is what needs to be done with ISIS. But it will require a radical change in our outlook, temperament and acceptability for internal proscriptions. In our daily life, for the duration of this campaign, we will need to harden our hearts and accept the unacceptable and endure the unendurable. In sum, we need to be harder, more committed and more intelligent than this raging beast we face. We need to sacrifice some comforts for a better outcome. A female fighter from the Kurdish People Protection Unit (YPG) poses for a photo on the front line in the northeastern Syrian city of Hasakeh on September 4, 2015. The raw Sunni recruits in crisp camouflage uniforms, popping off rounds at the firing range at a U.S. training camp here, illustrate the dilemma for the United States as it seeks to form a strong military force to drive the Islamic State from its capital, Raqqah. The United States could try to build the Sunni army it would want, ideally, to capture Raqqah, a Sunni city. But that might take years. Or it can go with the army it has, which is dominated by the tough, experienced Kurdish fighters from the YPG militia. They’re anathema to Turkey, to the north, and to the official Syrian political opposition. But the rampaging Syrian Kurds get the job done. The United States is trying to do some of both, by building a new opposition coalition under the makeshift banner of the “Syrian Democratic Forces,” or SDF, which integrates Sunnis, Christians, Turkmen and other inexperienced fighters with the larger, powerhouse that is the YPG. That’s not ideal politically but it makes military sense. “We do, absolutely, have to go with what we’ve got,” says Gen. Joseph Votel, the Centcom commander who oversees the war here, at the end of a long Saturday spent touring SDF bases. A small group of reporters was on the trip on condition that we couldn’t write about it until we had left the country. It was a rare chance to report from inside Syria. Editor's Note: Dictators fight insurgents wrong. Rather than redress grievances and win over the locals, they repress and coopt, tolerating corruption and abuses. David Ucko of National Defense University explores why and how dictators often defeat insurgents despite ignoring the lessons of the US and other democracies. "After you throw the spear, you cannot catch the end of it." Over the last 15 years, the U.S. and her allies have responded quickly and heavily to terrorism. The intent behind these immediate responses was to demonstrate resolve, illustrate dire consequences for committing terrorism, and above all (and rarely mentioned) provide faith and confidence to the attacked population that they are safe and secure from such threats. The goal of this paper is to prescribe an alternate strategic approach to dealing with Violent Non-State Actors (VNSA) or Violent Extremist Organizations (VEO). While our strategic approach to dealing with VNSAs over the last 15 years has illustrated innumerable tactical and several operation successes, the strategic goals have not been met or even clearly defined. This is largely due to the immediate responses and the general perception that tactical success is equivalent to strategic success. Immediate responses may or may not align with long-range strategic goals and objectives. Our deep analysis and understanding of the problem sets regarding each VNSA we choose to engage needs to be attained much earlier in the process. The importance of setting achievable, specific, and strategic objectives as well as maintaining the strategic patience required for such objectives needs to be developed well before the bulk of decisive (kinetic) action. This essay intends to survey the latest strategic guidance regarding VNSAs compared to other peer or near-peer global competitors, illustrate how actions against ISIL may be out of order (ready, fire, aim), and finally offer potential strategic objectives related to defeating VNSAs. If countering VNSAs such as ISIL will be a long-term campaign, we will need long-term goals and objectives. It started innocuously enough. The prime minister-for-life never missed the annual “Liberation Day” parade. With the drums and platoons thundering, nobody noticed as the quadcopter, barely larger than a sparrow, floated down toward the dais, its faint whirr drowned out by the industrial machinery rolling by in formation. It was at once a child’s birthday present and the summation of millennia of military science. A flying machine postulated long ago by Michelangelo, now equipped with a vial of biological toxin, a GPS chip, microprocessors, and facial recognition software. The attackers had uploaded the prime minister’s face to the quadcopter’s onboard processor, given it a rough search grid where they expected the target to be located, and then let it loose. The drone found its target, quickly zoomed within a few inches of the man’s face, deployed its payload, and self-destructed. The prime minister and his coterie were dead within the hour. His remaining lieutenants were at each other’s throats by the end of the day. Their respective clans lobbed accusations at one another on social media, live-streamed protests, and employed smartphone-wielding teenagers as spotters. A European observer takes on the foreign policy wars in America’s 2016 election cycle. Just as Donald Trump clinches the Republican nomination for president, I, an avid French observer of U.S. politics, look back on this campaign and last August already feels like a decade ago. Like many others, I could not have envisioned back then that a white, male eccentric billionaire turned reality TV star would rob the nomination from five U.S. senators, nine governors, one African-American neurosurgeon, and one female ex-CEO. Nor could I have realized then that most of the foreign policy positions developed by the 10 main candidates during the first debates would by now have vanished. At the time, watching from a European capital famous for its opposition to Bush’s Iraq war, I could only take note of the fact that neoconservatism was making a comeback. Out of 17 candidates competing to become the next GOP nominee, 13 of them indulged in interventionist rhetoric — with the notable exceptions of libertarian Rand Paul and sovereigntist Ted Cruz, as well as two political neophytes Donald Trump and Ben Carson. All would-be frontrunners for this race — Jeb Bush, Scott Walker, Marco Rubio, and even Chris Christie — belonged to the big-military, big-surveillance interventionist camp. Their views and rhetoric were right on target: According to a July 2015 Pew Research Center poll, 53 percent of Americans said that President Obama was “not tough enough” on foreign policy, an increase of 12 points since his re-election in 2012. Indeed, there appeared to be a full-speed pendulum swing away from President Obama’s strategic restraint: Washington was buzzing with think tank reports and expert analyses, from the left and the right, criticizing the administration’s international positions on Putin and Eastern Europe, ISIL, and the Syrian civil war. Up until Jeb Bush’s series of single-digit scores and Marco Rubio’s crushing defeat in Florida, I would have bet anyone that the U.S. foreign policy of the next administration was bound to renew a more unilateralist and expansive use of force, somewhat reminiscent of the George W. Bush era. The scale of the Arab (and predominately Gulf) military intervention in Yemen is surprising to some observers. Saudi Arabia and the United Arab Emirates lead the 10-nation Arab coalition, with Riyadh focusing its efforts in northern Yemen and the United Arab Emirates leading in Yemen’s south and east. The objective of the Arab coalition is to help the U.N.-recognized Hadi government return to power in the Yemeni capital of Sana’a. Bolstered by quiet American support in the form of munitions, intelligence, and fuel tankers, the coalition worked with government forces and pro-government tribes to push the Houthi rebels out of the southern port of Aden, the country’s second-largest city. Thereafter, the Arab coalition launched ground forces from Aden and Saudi Arabia to push the Houthis back from a range of other Red Sea ports and cities in the Yemeni interior. Currently, the anti-Houthi campaign is on pause asinternational peace talks continue. In his opening speech to an assembled body of troops in the iconic 1970 movie Patton, the title character (played by George C. Scott) intones, “Americans play to win all the time. Now, I wouldn’t give a hoot in hell for a man who lost and laughed. That’s why Americans have never lost and will never lose a war. Because the very thought of losing is hateful to Americans.” The moviemaking moment was full of irony: as the movie character Patton inspired the troops who would soon go on to cinematically annihilate Nazi Germany, a newer generation of American soldiers was fighting and dying in a war in Vietnam that the United States would definitively lose. The national track record in major wars since World War II would have the actual General George S. Patton Jr. rolling in his grave—three victories (Panama, the Gulf War, and Kosovo), one defeat (Vietnam), and four ambiguous outcomes (Korea, Iraq, Afghanistan, and Libya). In the last three decades, the United States has toppled four regimes through force of arms; three of the targeted countries are currently basket cases of civil war and terrorism. None of the wars spawned by 9/11 have ended well. Why can’t America win its wars today? In their adulation of the accomplishments of the Greatest Generation, Americans have forgotten why World War II ended so well. Yes, American armed forces triumphed over the forces of fascism, sending Hitler, Mussolini, and Tojo into the dustbin of history. But military victory alone did not ensure that Germany, Italy, and Japan would emerge from conflict as liberal democracies committed to prosperity and human rights at home and a liberal world order abroad. It was, rather, the presence of US military forces, economic aid, and a political commitment from American policymakers to rebuild and restore these nations that ensured an enduring peace. Perhaps ordinary Americans may be forgiven for ignoring this reality, but senior political and military leaders should know better—that is, if they read and understand history, which regrettably all too many do not.